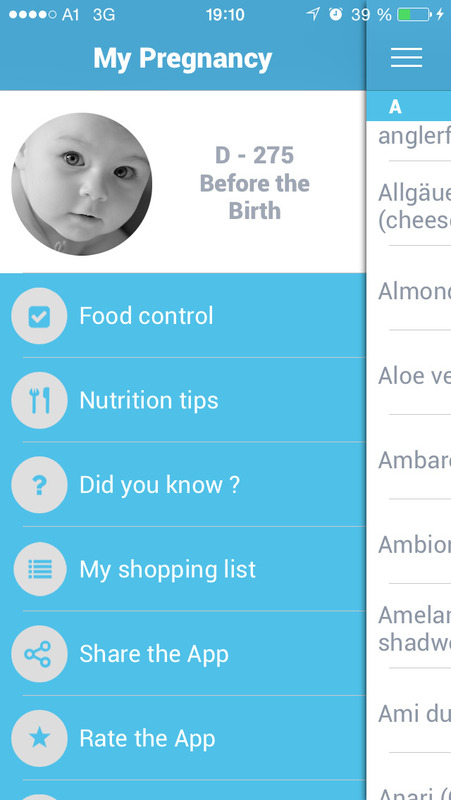 The app for feeding your future baby well ! 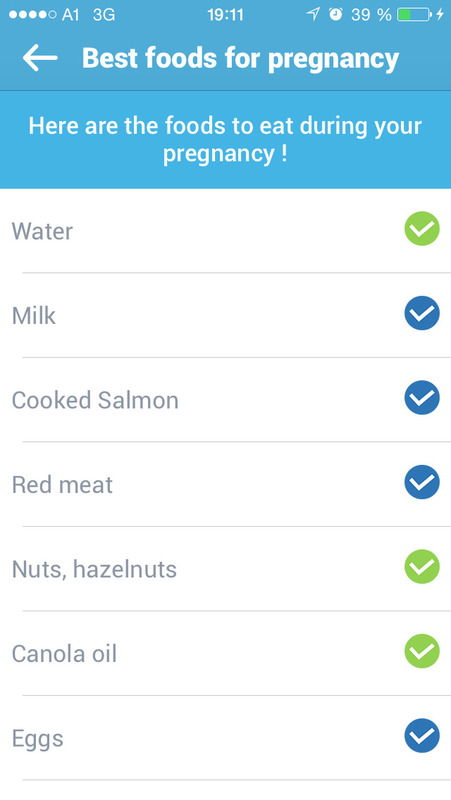 - Checking foods : All of the forbidden, allowed, or advised foods for your pregnancy in 1 click with the search engine! More than 1,500 foods; searchable by type of food (meats, fish, cheeses, fruits, vegetables, plants, condiments, drinks…); adaptable results if you are immune to toxoplasmosis. - Nutritional advice : Indispensable files for knowing everything about the nutrition of pregnant women: the best foods to eat, the essential vitamins and minerals and where to find them, the principal risks and illnesses tied to pregnancy and how to avoid them, everything to know about tobacco, alcohol, coffee, tea, herbal teas, cheeses, and nausea. 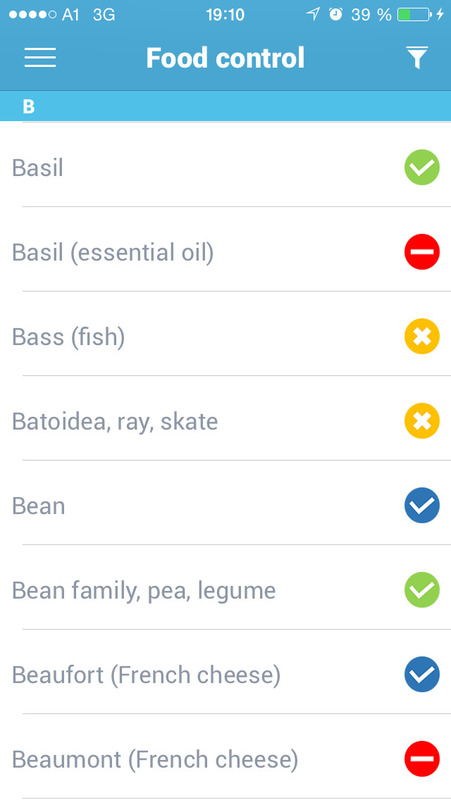 - Shopping lists : Create your shopping list quickly and easily from the foods that you look up! And send it to your spouse! - Did you know? Receive a different fact every day: advice and weird facts about pregnancy ! All these data are provided for guidance purposes. This information appearing on the App is not meant to be a substitute for the advice provided by a qualified doctor or other medical professional.